Dimensions 5.11 x 2.98 x 1.27 in. Outlet to Notebook 7.8 ft. The Samsung R60 Plus AC adapter features protection from voltage and current surges. It charges your laptop battery quickly when it is on/off through the durable AC-DC replacement adapter and works worldwide. Output Voltage: Within 1V of the original output voltage. 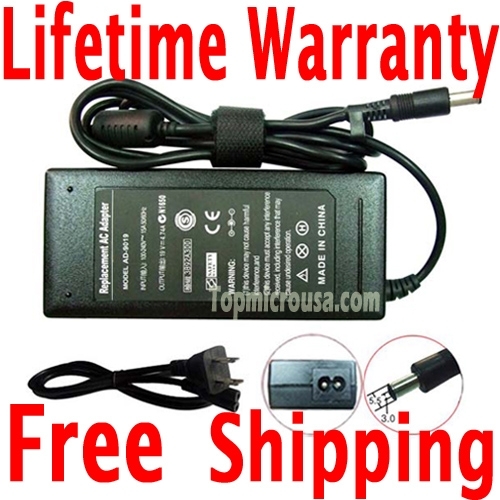 For example, a 19 battery charger is compatible with an 19.5 or 18.5 charger. Output Current: Amperage should be greater than or equal to the original Samsung R60 Plus power supply. Your laptop draws as many amps and watts as it needs. 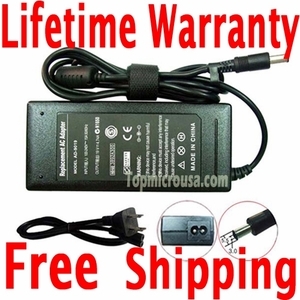 For example, your original 4.22 AC power adapter can be replaced with a 4.74 adapter. Connector Plug: Must fit securely within the laptop power jack. If you have any questions or concerns, feel free to ContactUs Live!